Folic acid or otherwise known as folate or vitamin B9 is an essential vitamin belonging to the group of B vitamins. Folic acid is important in the embryonic development of the central nervous system. It is also essential in energy production of cells, metabolism of proteins, synthesis of DNA as well as in the formation of normal red blood cells. Deficiency in folic acid may produce symptoms, but taking folic acid in excess may also result in significant problems. Folic acid is found in foods such as nuts, green leafy vegetables and organ meats. 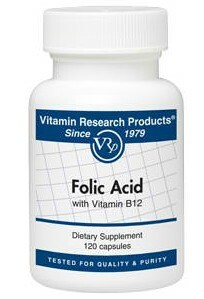 Those who require high amounts of folic acid include pregnant women to ensure normal CNS development of their babies. Patients with megaloblastic anemia may also require folic acid supplementation. When folic acid supplementation is taken, possibilities for folic acid overdose are also present. However, with cautious and prudent intake of folic acid,folic acid overdose is usually prevented. The recommended intake of folic acid is up to 400 micrograms in a day for adults. For pregnant and lactating women, the recommended daily intake is 600 micrograms to support the growing fetus as well as provide folic acid for the newborn. Although folic acid overdose is rare because the body may eventually excrete the high amounts of folic acid, a dosage of more than 1,000 micrograms in a day may lead to rare symptoms of folic acid overdose. However, some people who may take more than 1,000 micrograms of folic acid may still not produce symptoms. Anti-diarrheals, gastric stimulant, and other medications may be given. Other anticonvulsant’s may be given in cases of seizures in those taking anticonvulsant medications. People experiencing mental disturbances may also receive anti-psychotics as a temporary management for the symptoms. In order to prevent folic acid overdose, it is essential to adhere to the recommended dosage of the drug. In addition, consider taking folic acid in natural forms such as in orange juice, spinach, cereals, fruits and vegetables in order to prevent folic acid overdose.